New Jersey heavily regulates the transportation and disposal of solid waste (garbage) and recycling. These activities are governed by New Jersey’s Solid Waste Management Act. It is also governed by regulations promulgated by New Jersey’s Department of Environmental Protection (known as the DEP). 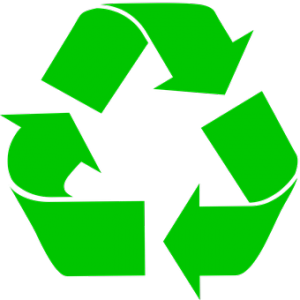 The Appellate Division of the Superior Court of New Jersey had the opportunity recently to review these matters in connection with the actions of a recycling company in Newark. In the unpublished case of State, Department of Environmental Protection vs. T. Fiore Demolition Company, two companies (T. Fiore Recycling Corporation and T. Fiore Demolition Company, collectively referred to as “Fiore,” both corporations) obtained approval from the DEP to operate a class B recycling center and receive up to 1865 tons of Class B recyclables, and to store up to 30,314 cubic yards of it. Class B recyclables, also known as “construction and demolition” or “C&D” recyclables, include concrete, asphalt, cinder block, brick, wood, street sweepings, creosote wood and roofing shingles at a location in Newark which the court called Site A. Fiore’s business model was to be paid to take the recycling, and then to process and sell it for use in road and other construction projects. Next door to Site A was Site B, 26 acres Fiore leased form the Newark Housing Authority. Fiore did not have approval from the DEP for operations or storage on Site B, even though it was next door to Site A. As time went on, Fiore used Site B to store recyclables. At one point the pile of recyclables at Site B reached one hundred feet high. This use prompted the DEP to visit the site, at which point it discovered the violations. The DEP issued a notice of violation, and litigation ensued. The DEP entered an administrative cease and desist order requiring Fiore to immediately cease accepting any materials on Site B, and to only accept one truckload at Site A for every three it removed from the combined sites. It was after this order that it was discovered that the stockpile had doubled in size to 100 feet.